Enter Profit Ability, a UK study that looks at over 2,000 advertising campaigns across 11 categories to uncover the impact of different forms of advertising have on both short- and long-term profits to determine advertising’s contribution to the bottom line. In this webinar, Kathy Gardner, Vice-President, Media Insights at thinktv, will take you through the detailed results of Ebiquity-lead research, as well as a number of Canadian findings and case studies. 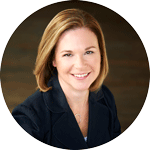 Kathy Gardner is the VP Media Insights at thinktv. Gardner is a veteran media executive with experience in television, radio, digital and research. Before joining thinktv, Gardner served as Vice-President, Strategic Insight – Research at Shaw Media, where she was responsible for the development of research insights supporting and driving advertiser investment in the company’s slate of broadcast and digital assets. Prior to joining Shaw Media in 2002, Kathy was the Executive Vice-President, Media Director at Bates Canada.